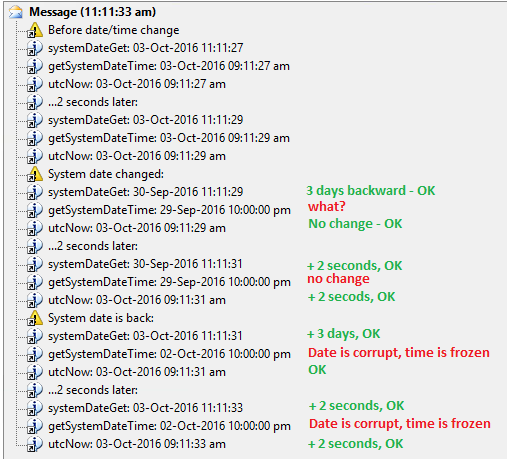 After the current system date is changed, either from the user interface or via systemDateSet function, the DateTimeUtil::getSystemDateTime() goes out of control. Don't ever use this function for unique keys generation. Unfortunately, they use it a lot in the DIXF.